Classifying diabetes between type 1 and type 2, as we currently do, is wrong. And worse, this is disrupting the emergence of more effective treatments against the disease. A study done in Sweden and Finland and published in the scientific journal The Lancet - Diabetes & Endocrinology showed that, in fact, there are five types of diabetes, with characteristics different from each other. The finding explains why some diabetics respond so differently to standard treatment and help identify those who are at high risk of complications. Type 1 diabetes is usually diagnosed during childhood and is due to the patient's body not being able to produce enough insulin. Type 2 diabetes happens when the body does not produce enough insulin to meet the demand imposed by factors such as obesity. There is the error. What we call "type 2," in fact, encompasses a variety of four categories, two of which are acute forms of the disease. The insulin - resistant diabetes usually affects those with overweight and has a high risk of causing kidney complications. 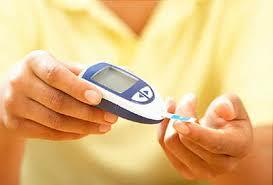 In it, the patient even produces insulin, but the body does not react properly to production. On the other hand, diabetes of middle age tends to be milder and easier to control, presenting its symptoms during old age. There are still some doubts to be answered. For example, if the same patient may have more than one type of diabetes. But the outlook is encouraging. Current studies may result in personalized (and more effective) ways of treating the disease that affects 415 million people worldwide.